The LTF program is a professional development opportunity for doctoral students who are committed to promoting pedagogical practices and conversations among graduate students. LTFs participate in a series of meetings at the CTL, organize teaching-related workshops in their home departments, and act as liaisons between their peers and the CTL. LTF program activities are listed on the bottom of this page. The application period for 2019-20 LTFs has closed. Applications for 2020-21 Lead Teaching Fellowships will be accepted in Spring 2020. LTFs produce a range of events for their home departments covering topics such as syllabus design, inclusive pedagogy, peer teaching observation, digital resources in the classroom, and framing teaching development for the academic job market. 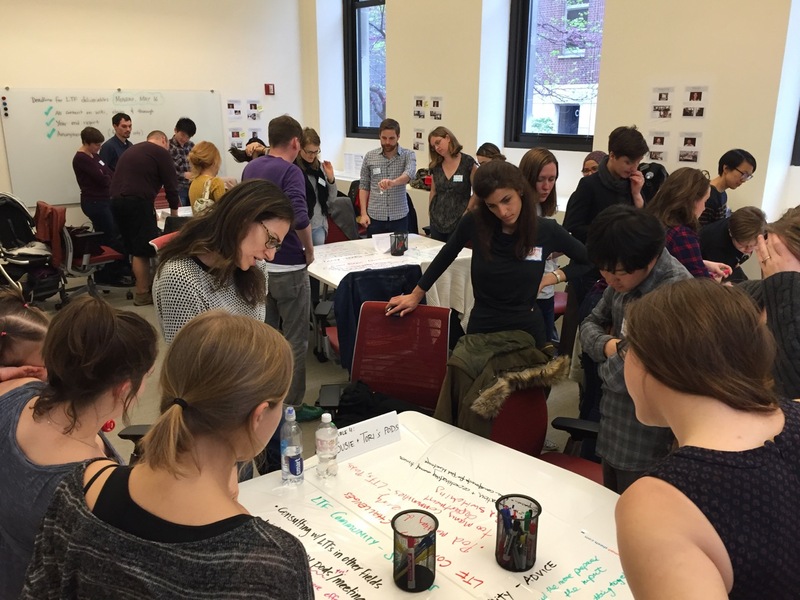 In 2018-19, 29 Lead Teaching Fellows are designing and running teaching-related events in departments across the University, mentored by a team of Senior Lead Teaching Fellows. LTFs earn stipends of $2,000 ($1,000 at the end of each semester) upon the successful production of teaching-related events in their home departments, and the completion of a series of activities promoting communication between the CTL, other Fellows, and faculty and graduate student instructors in their home departments. These required activities entail approximately 30 hours per semester. Participating in three LTF training/networking meetings, including small-group sessions with an assigned Senior Lead Teaching Fellow (SLTF) mentor. Attending at least three workshops or events at the CTL. Planning and implementing a teaching-related workshop, discussion, or presentation in home department in consultation with departmental representatives, SLTF mentor, and CTL staff. Liaising between the CTL and home department: Referring peers to pertinent CTL programs and resources, sharing back to the CTL information about teaching development needs and interests in home department. Documenting LTF activities and reflections on the LTF program website, culminating in a brief year-end report. The CTL provides LTFs with individual consultations, peer mentoring, logistical event support, and a budget for food and refreshments at their events. Questions about the program may be sent to CTLgrads@columbia.edu. Explore our lead teaching fellows opportunities.